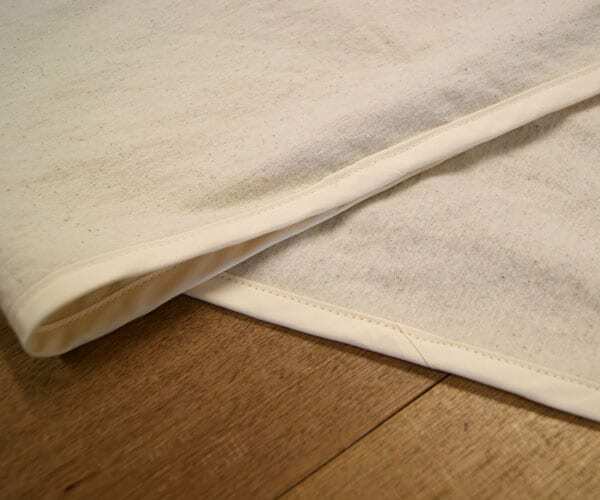 One Raw Cosy Flannel Flat Sheet made in Australia from 100% GOTS certified organic fabric. This new style cosy, is super soft and fluffy. Perfect for warming up on those chilly winter nights. Our Cosy flannel fabrics are a brushed cotton – not a flannelette – and they are about 280 – 285 gsm. 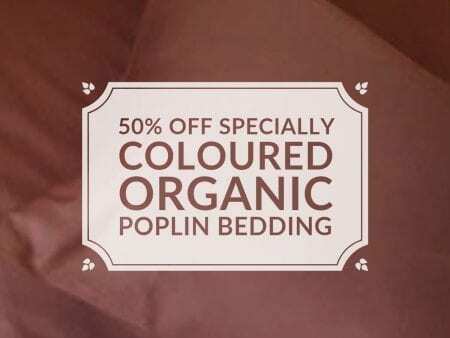 Some people like to call it luxury organic flannelette. 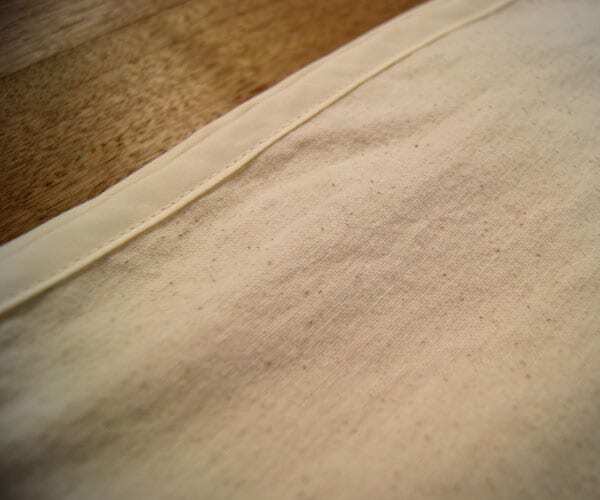 This fabric is raw, which means it is un-dyed and has natural flecks in the colouration. Available in Natural ONLY. To allow for shrinkage, these flat sheets have been made slightly larger than normal. PLEASE NOTE: Cosy fabric is 230 cm wide; full width is used in the centre, therefore side joins are added to achieve the full sheet size. The special joins are very small and fall mainly outside sleeping area. All Flat Sheets and Fitted Sheet in the sizes of Queen, King and Super King have joins that run either side of sheet. All smaller sizes are cut in one piece as normal. 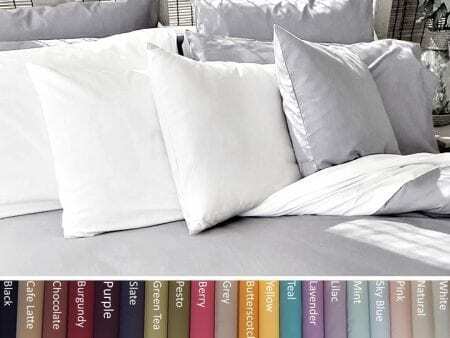 The length of the sheets can vary between 270 – 285 cm depending upon the width of the fabric roll.